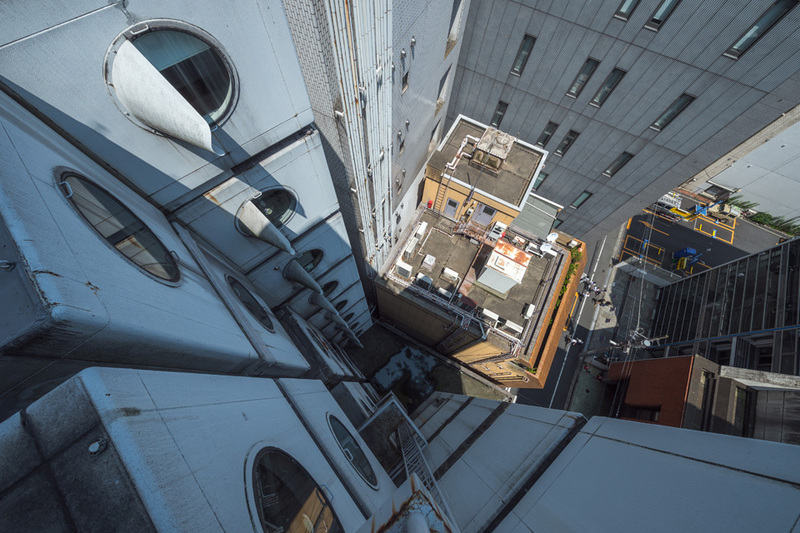 This is the story of why and how we moved our office to the Nakagin Capsule Tower. A peculiar building with an odd silhouette that clashes with the shiny skyline of Tokyo. Built in the 70’s as a place to crash for out-of-town and worn-out office workers it has since mutated into a quasi-cult relic; garnering worldwide attention. You won’t find any businessmen on the premises anymore. Instead an eclectic crowd has settled in and is making use of the tiny living spaces in a variety of ways. Every time we walked passed it we had to stop to look at it. Like many, we were puzzled by this patchwork of blocks in the middle of Tokyo. 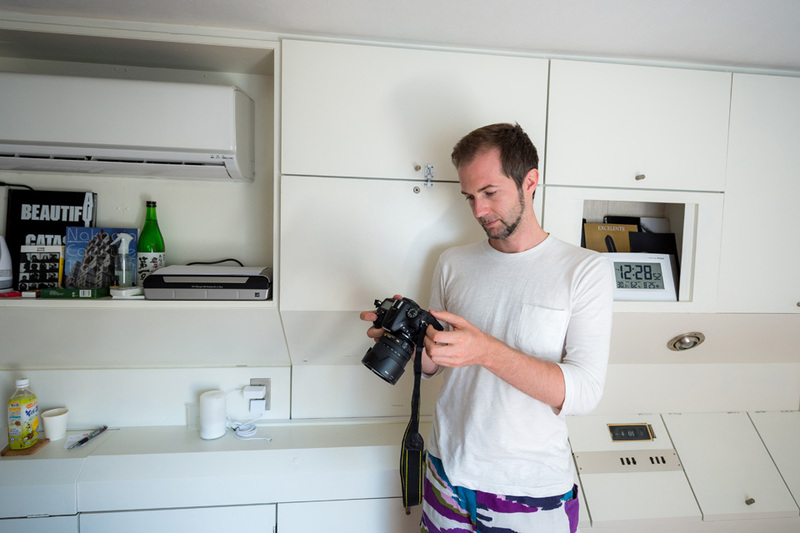 In 2014, thanks to a notorious room renting website, I (Axel) was lucky enough to spend a night in one of the living pods (such rental is now prohibited). At last, we were able to explore the dingy bowels of the building. 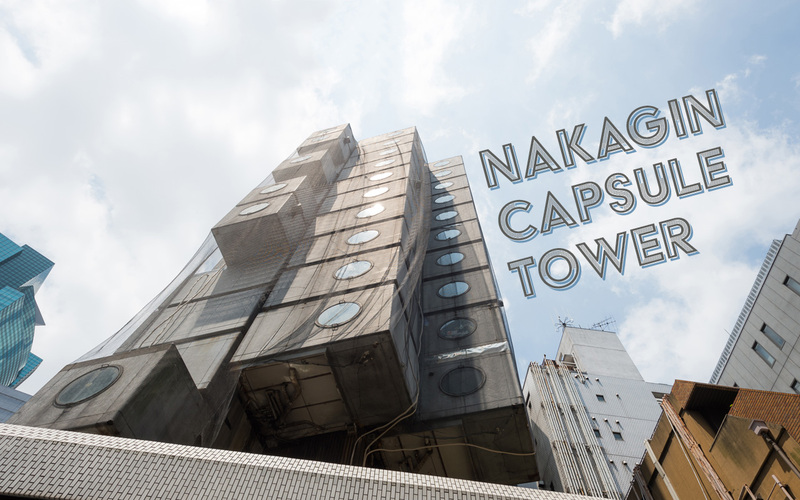 What is the Nakagin Capsule Tower? The Nakagin is a rare remaining example of an architectural movement called Japanese Metabolism. What’s more, it is still functional with tenants either living in it or using it as an office space (as of 2016). Famous Japanese architect Kisho Kurokawa designed the building and in 1972 it was completed. What makes it so unique is its structure: two cores that have all necessary amenities (elevators, water, air conditioning…) on which 140 self-contained capsules measuring each 10mx10m (same as the traditional Japanese tea ceremony rooms) are attached by high-tension bolts. This gives the building its unique techno-organic look. Originally all capsules were supposed to be replaced every 20 odd years with brand new ones. Also, if you had to move you could simply detach your capsule and take it to some other city where you’d attach it to a new core. At the time of completion it was a very daring, cutting-edge, forward-looking concept. The capsules, however, were never replaced and over time Nakagin fell into disrepair, though never quite so much as to make it uninhabitable. Nowadays the adjacent skyline of the Shiodome area casts an ominous shadow upon the caspules. The Nakagin cannot compete with those sleek glass high-rises. Nevertheless it remains a futuristic looking building even today. This is due to the vision of its creator. Nakagin is a bold dream in a risk-avert culture. 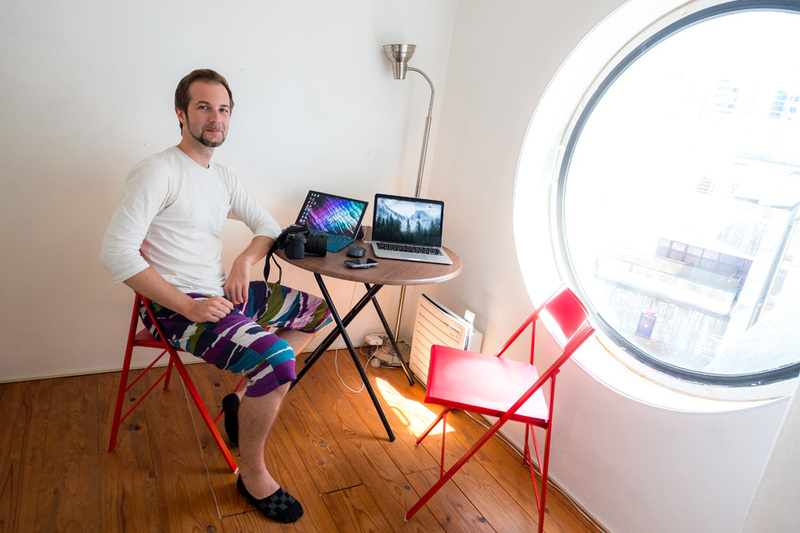 Why we chose to settle our office in a capsule? Nakagin also comes bundled with a strong aura. Every day on our way to or from work we see people taking photos of our office. It became a symbol of Tokyo’s history (rumor has it that capsule owners want to apply for the “Japanese cultural heritage” certification). To some extent we benefit from this image. Last but not least it is also a symbolic move for us too. We wanted take a stand and be part of this historical unique building instead of remaining powerless onlookers. How was the renting process? Renting a capsule was surprisingly easy. We went through Nakagin’s main real estate agent. They showed us three different capsules. They were all in different conditions. We opted for the one on the 11th floor with wooden flooring and the original furniture. In retrospect we consider ourselves lucky as we realized that the higher you go the more livable Nakagin is. Contrary to popular belief the list of people wanting to rent a capsule is actually quite long. 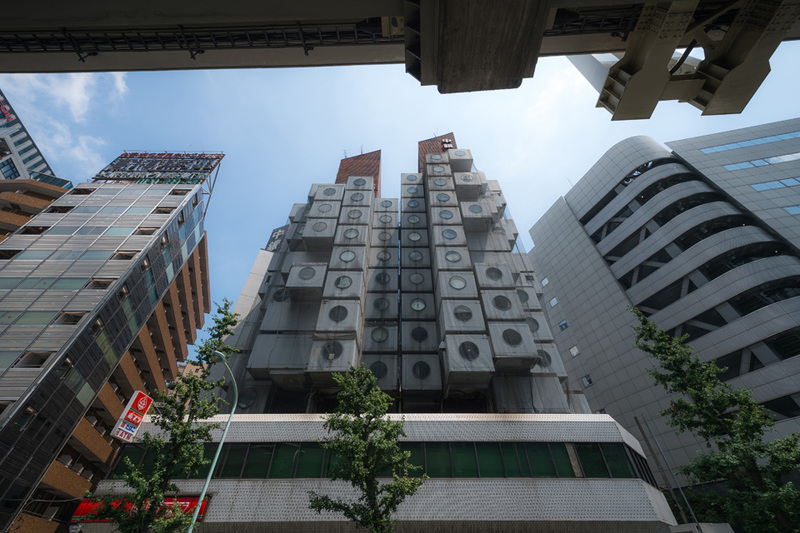 Applications mostly come from two kinds of people: the aficionados or architects who dream about living in a capsule and small companies who want an address in Ginza (without going broke that is). How is it to work in a capsule? Overall it’s not bad. Summer is probably the hardest season as it gets sweltering in the capsule. We do have a new air conditioning unit but still… the atmosphere is unpleasant. The rest of the year it’s fine. We also stay in it from time to time when we need quick access to Tokyo station in the early morning. We found that working in our capsule makes our routine smoother. We get the feeling of being time & space capsule. We step into another world. It becomes easier to focus on our daily work away from worldly distractions. It is bright inside as the light gushes through the big round window (following zen concepts) throughout the day. Our only concern is having people over. It is after all a tiny space. Not appropriate for meetings of more than 4 people. We hope that you enjoyed reading a bit about our office. We truly appreciate this building. It matches who we are both as a company and as individuals. Please leave us a comment below if there is anything else you’d like know about Nakagin.